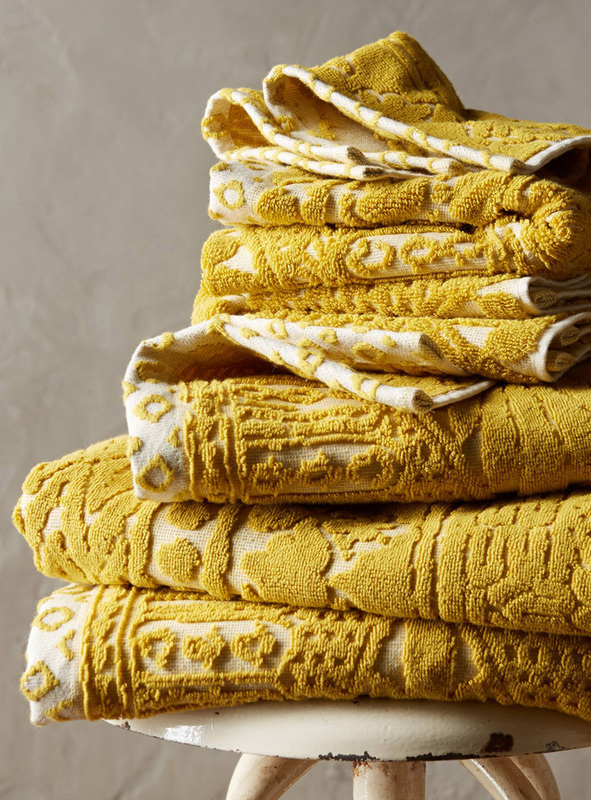 This luxurious Stone Carvings Towel Collection in Maize updates your bath with pretty color and unique texture. $8-$36 Sale $6.40-$28.80. Buy here.